According to drummer, sometimes singer, and original member Alex Kerns, the new album is a continuation of the direction the band has been heading, in that it serves as an extension of the first. For “Pebble,” the band collaborated with indie rock veteran, producer and engineer J. Robbins, whose studio is based in Baltimore, Md. 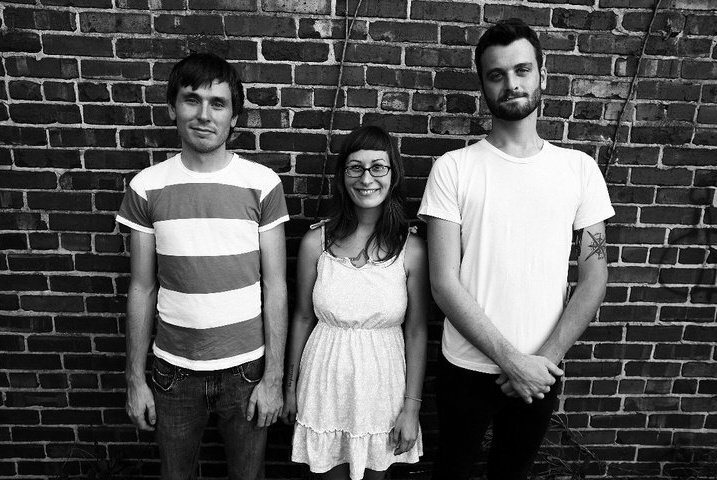 Shortly after the album’s January release, No Idea Records put out a split featuring Lemuria (which also consists of guitarist and vocalist Sheena Ozzella, and bassist Max Gregor) and longtime friends Cheap Girls – two bands that are currently touring Europe together. The tour’s Sunday evening stop – this past weekend at Lovelite – was the first Berlin visit for Cheap Girls and the second for Lemuria. While rain put a damper on the sightseeing aspect of things, Kerns said the band still appreciates the opportunity to play in Germany. And although the band has taken what some may consider a longer route since its 2004 formation, preferring to release singles or splits as opposed to album after album, Kerns insisted this approach is methodical, as the band is committed to putting out only the very best representation of itself. This entry was posted in Interview and tagged American, Feature, Interview, Lemuria. Bookmark the permalink.